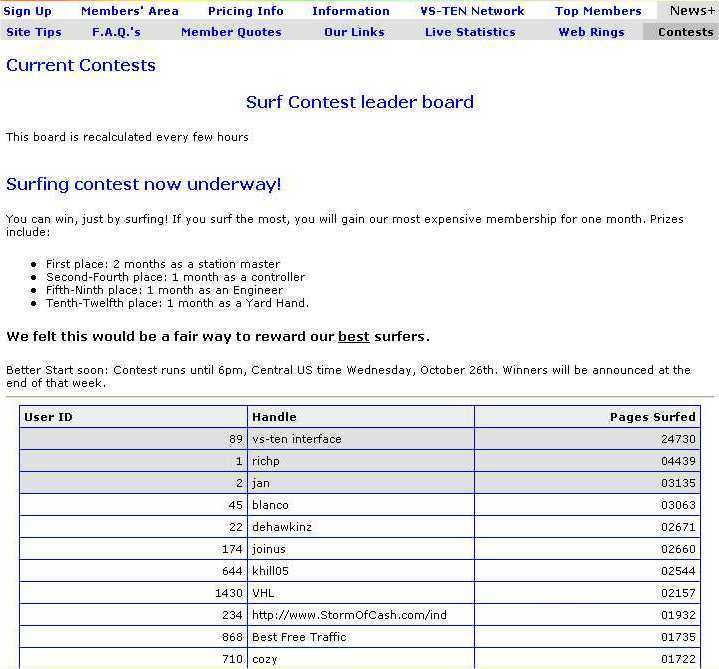 We've found two particularly effective ways to get people surfing: surfing contests, and 'top surfer' awards. Both are available in TrEx. TrEx offers a highly-automated surf-contest system. You describe the contest dates and prizes, and the system builds a 'leader board' for you, and keeps it up to date.